If you are in the U.S. because of your work in the oil & gas industry, you may be facing a number of immigration issues. (And even if you aren’t, you likely have employees or coworkers who are.) You are here with a temporary work visa, which has limits. You may be wondering what you can and can’t do while you’re here. You may also feel uncertain or exposed – if you are laid off or your employment is terminated, what will you do? If your authorization to remain in the United States ends with your employment, what happens if you have children in school, or if your spouse has a good job? Many of the decisions made about your immigration matters were probably made by your employer based on your employer’s policies as we discuss below. With so much beyond your control, you might feel powerless in the process. We want to provide you with information and knowledge to help you understand your options - we want to be your information source. We serve as trusted advisors to employees in the energy sector on matters ranging from temporary visas to permanent residence to citizenship in the United States. Our firm has a history of working with employees of oil and gas companies in need of independent legal counsel. 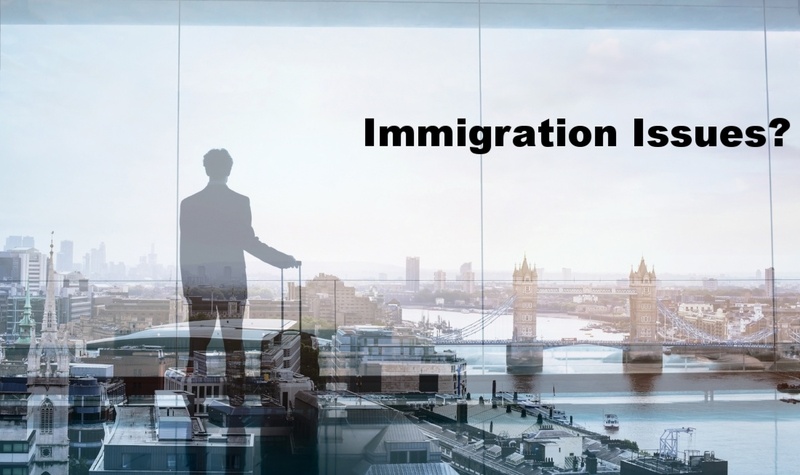 Many large oil and gas companies use an in-house team (usually called Global Mobility or International Human Resources) or a dedicated law firm to handle its employees’ immigration matters. However, depending on your employer’s policies, you may not be able to seek sponsorship for permanent residence through your employer, get assistance with immigration issues for your fiancée, spouse or children, or obtain help with your application for citizenship. If you have an immigration issue that is not paid for by your company or sanctioned by your company’s immigration legal assistance policies, your company’s in-house team or outside law firm may choose to not represent you. Knowing that you may have to seek out a separate immigration attorney to answer some of your personal immigration questions, it may be helpful to understand some of the ways that your immigration lawyer can assist you and the types of cases you might engage her to handle for you. We wrote our guide on How to Bulletproof Your Immigration Status to explain some of the issues you may face and give you an idea of some of your options. We discuss what happens in the event of a layoff or termination, actions you should take if you are in the United States on a temporary work visa and are concerned about being laid off or have been notified that you are being laid off. We also explain how a professional in the oil and gas industry might pursue permanent residence (file for a “green card”) without the sponsorship of an employer. This is commonly called self-petitioning. While most methods of applying for permanent residence based on your employment require a job offer from a petitioning or sponsoring employer, there are two ways to apply without the employment offer: The Extraordinary Ability petition (also called “EB-11” or “EB-1A”) and the National Interest Waiver petition (also called “EB-2 NIW”). Our guide discusses the basic requirements of these two self-petition options, and provides some examples of how we have successfully represented employees of oil and gas companies in their self-petitions. Our guide provides a basic overview of the process of applying for permanent residence by explaining the U.S. Department of State’s priority date and visa bulletin system, noting that the process of applying for permanent residence may continue even if you must relocate out of the United States. We also discuss some of the potential risks and benefits of filing a self-petition, such as its possible impact on future travel to the United States if the self-petition is denied, benefits of obtaining permanent residence for yourself, your spouse and child(ren) under 21 if your self-petition is approved. Finally, we note our experience in assisting with self-petitions, our professional role in working with our clients, and our value-add in the process of assisting you with your self-petition. We hope you find our guide informative and look forward to working with you.